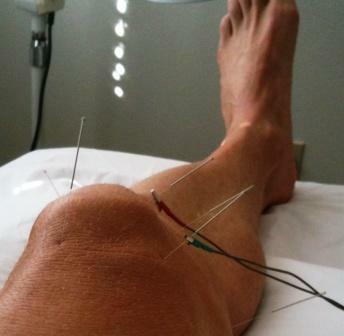 One of the ways I have been helping my recovery process is to have acupuncture sessions with Dr. Qinghong Han. Since our knee cartilage has poor blood flow, I have been using acupuncture to stimulate energy or “chi” in my knees and throughout my body. I am hoping that with the improved circulation in my knees that it will aid in the complete healing of my knee joints during this off-season and will bring my entire body to a more balanced state. Perhaps you can try acupuncture to reduce inflammation, relieve pain, or optimize your overall heath. To find out more information about Dr. Han and the benefits of acupuncture, please visit www.doctorhan.com. Posted in - My Daily Journal 2010, Topic - Recovery.